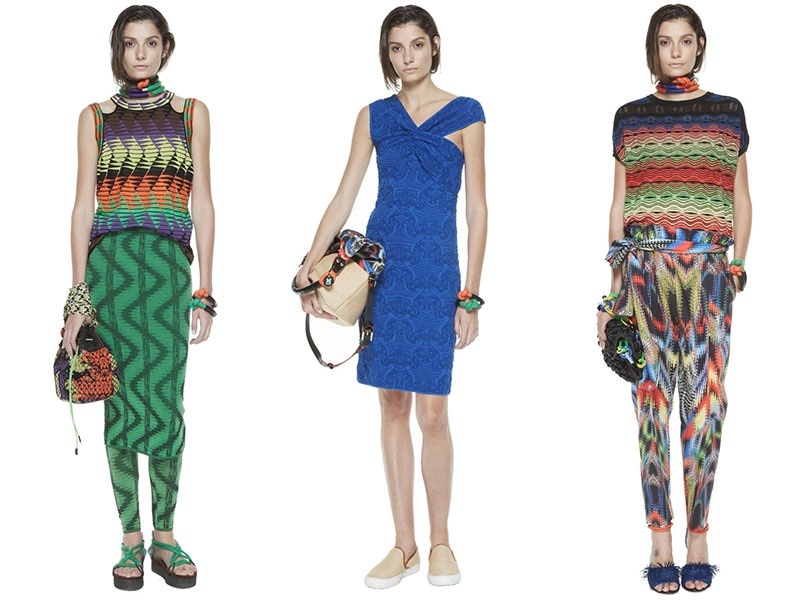 For summer, M Missoni puts a sporty, cyber spin on patterns and textures culled from Sub-Saharan Africa. 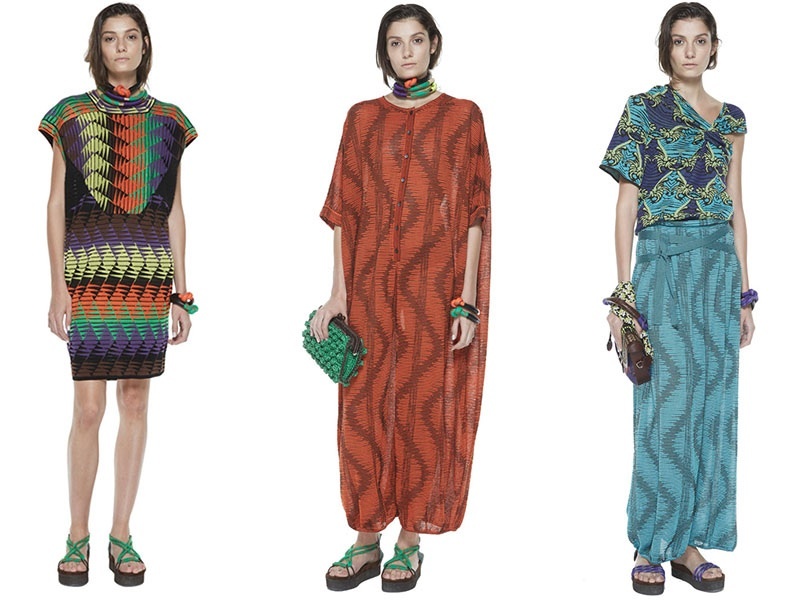 M Missoni describes the theme of their summer collection as ‘cyber safari’ and we’re definitely picking up what they’re putting down. Always deft at print mixing, this season their leaning forward, with a futuristic take on their classic zig zag, rendered in rust, aqua, grass green, and sunset yellow. Raffia trims add texture to python jacquards and moiré wave prints. (No, that’s not your computer screen making you cross-eyed, it is the pattern.) Shapes are just what Mother Nature ordered for the dead heat of summer — non-clingy onesies, fluid shifts and roomy palazzo pants in cotton and silk. 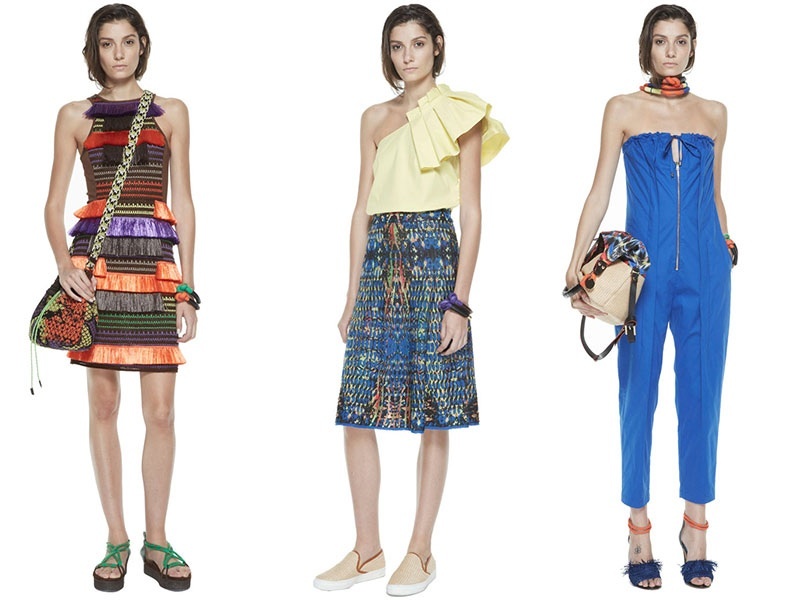 Raffia clutches and fringe sandals with corded flourishes add finishing touches to the Sub-Saharan tropical mood. Beautiful and quite charming piece!